The world is awash with what-to-watch options, from movies to television shows to quirky clips. 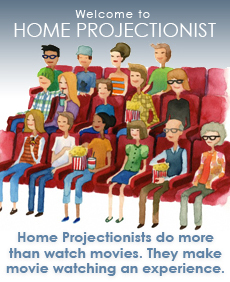 That makes Home Projectionists happy. The more power of choice is, well, empowering. To help you navigate what’s available for streaming through Netflix, Hulu, Amazon and the rest, another new free service, CanIStreamIt? lets you know with a quick click of button where you can access what you’re looking for. There’s also a new clever marketing campaign from Pop Secret popcorn with its Pop Secret Labs site, which provides a streaming advisor, a what-are-you-looking-for algorithm that even considers your mood — indicate that you’re feeling blue and it’s a gray day, for example, and the site generates some movie suggestions for you. In addition, the site allows visitors to make an animated movie featuring the Pop Secret kernels. Very clever indeed! See our little homemade Pop Secret movie and then make one yourself.